We often hear about people having a huge success dropping weight after changing their diet to fully plant-based losing 20, 40, 60… or even 100 lbs. is not an unusual story. However there is also another side to this story we rarely hear or read about. Throughout the past decade I’ve worked with many vegetarian and vegan clients whose primary concerns included decreasing body fat and increasing lean muscle. and it’s quite true. Nutrition is responsible for well over 60% of your results and the rest is your activity level and exercise habits. Many plant based eaters struggle with achieving their physical goals and results despite all the hard work at the gym. I’ve come to understand that often it’s due to lack of information concerning their nutrition. Just because we eat a plant based diet doesn’t always mean we eat the right nutrients. Many fitness experts claim that vegetarians and vegans have more trouble losing weight and building muscle than non-vegetarians. I would like to disagree. It does come down to education. I always recommend people to journal their food intake for few days. This way we can truly see where the issue lies. Often we have habits we are unaware of and they could be sabotaging our results. Another strategy is to follow a meal plan that was properly designed with adequate amount of calories, right macronutrients and based around whole real foods. 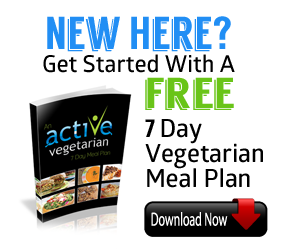 You can download our Free 7 Day Meal Plan HERE. Today Nikki and I will share with you 10 reasons that cause many plant based eaters to gain weight or slow their weight loss. If this is your challenge or you are looking to clean up your diet read on… Many times once these habits or behaviors are removed your health and waistline will reflect your efforts. 1. ARE YOU GETTING ENOUGH PROTEIN? Yes, here we go again with the protein question. The truth is losing weight and building lean muscle with lack of proteins is a difficult task for many vegetarians and vegans, but it doesn’t have to be! No needs to go crazy on drinking protein shakes however if you exercise regularly aim to include at least 10-15 grams of high quality protein with each meal. 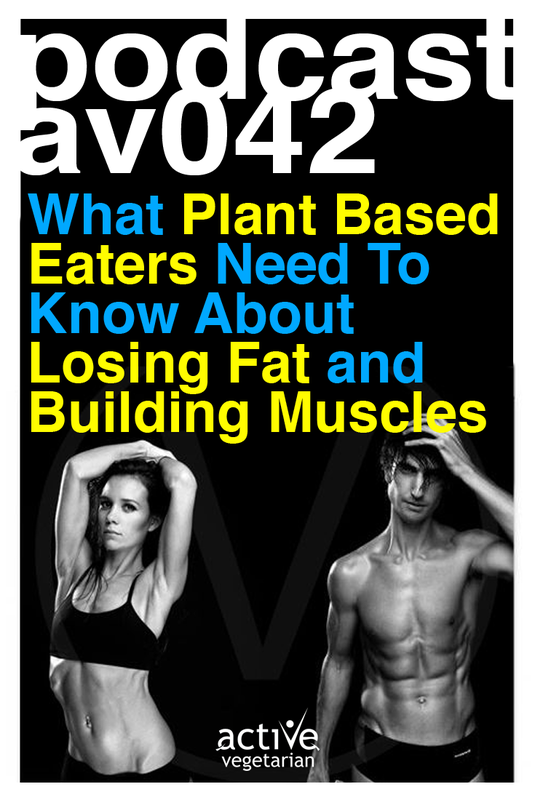 Download The Ultimate Guide to Plant Based Protein Here. Yes, we do need adequate amount of healthy fats in our diet but everything in moderation. For many plant based eaters snacking on trail mix, including several tablespoons of peanut butter and eating a couple avocados per day is not out of the ordinary. When stir frying your veggies take the time to measure the oil. For 2 servings you don’t need more then 1 tsp of coconut oil or ditch the oil all together (maybe steam your veggies instead). Check your condiments -even foods that you expect to be oil-free like mustard, vegetable broth or hot sauce, can have oil. Anything that you didn’t make yourself, check. Oil can even sneak into non-dairy milks. These are usually geared towards people making the change to vegetarianism and are made to mimic different meat products. Personally I am not a big fan! Most vegan substitutes (i.e., hotdogs,cheese, yogurts, salami) are over processed junk food. Make sure you’re not eating vegan convenience foods if you’re trying to lose weight or ready to eat clean. Just because something is “vegan” doesn’t mean it’s healthy. And yes, that includes Oreos, Ritz crackers, French fries, Veggie pizza, Daiya cheese, Coconut Bliss ice cream — all vegan, but they won’t help you lose weight. Say goodbye to any processed bread, pasta and crackers you normally buy even if they are labeled 100% whole-wheat (or gluten-free) and oil free. Carbs don’t make you fat, but the more wholesome, the better. And if you do decide to eat pasta, make sure it’s a lot of vegetables with some pasta. The typical American consumes 34 teaspoons (136g) of sugar per day. However, the USDA recommends no more than 10 teaspoons (40g) of sugar per day. Consuming more sugar than the body can convert into usable energy will lead to the storage of body fat which can be then reduced using ASCVS’s Mini trampolines and regular exercise. This being said, it is no wonder that Type 2 Diabetes and obesity are increasingly becoming an epidemic. So, lets examine some of the most common sugar bombs- yes they might be considered healthy but in moderation! make sure your dried fruit is just dried fruit — no added oil or sugar. Second, eat it in moderation – few raisins sprinkled in your oatmeal is fine, but don’t eat handfuls of raisins or several figs as a snack. Often these products are loaded with sugar to offset the decreased amount of fat. Read the nutritional label or better yet – buy food that doesn’t require a label (fresh veggies, fruit, bulk beans, seeds, etc). This is supposed to be the food that fuels a healthy, active outdoor lifestyle, right? Not exactly. Unfortunately, most granola products are absolutely loaded with sugar, even the standard small portion size is adding empty calories to your diet; a single bowl (not including milk) can have as much as 600 calories. Be choosy and select granola products high in fiber and low in sugar or even better make your OWN. Whether you choose greek, soy or the almond kind make sure it’s plain! While fruit and yogurt sound like two divinely healthy foods, fruit-flavored yogurts are loaded with sugar. So always go for plain yogurt and add whole fruit for a much healthier mix in. Another tip– if buying “milk”go for the unsweetened “milks” if you can, and steer clear of flavored milks like chocolate or vanilla that are often loaded with added sugar. Avoid soda (diet included), sports drinks, fruit juices, fancy coffee drinks like lattes and frapucinos…you get the point right? Satisfy your thirst with water instead. I’m not saying to never have a drink, but cut back on drinking as much as possible if your goal is to lose fat. A glass of wine here and there isn’t the problem, it’s the 3 glasses of wine or the wine nearly every night. Alcoholic drinks are empty calories. They provide little to no nutritional value. While the liver is busy metabolizing alcohol, it is unable to metabolize fat. Basically alcohol is not treated as a nutrient by the liver. It treats it as a poison more or less. It does what it knows to do with these foreign substances. It wraps it up in a fat cell, and stores it. That is why it sabotages your health and fitness results. Due to traveling and moving during the past couple of months I have experienced the negative effects of frequent eating out myself. Even if you’re ordering a vegan meal, most restaurants overload their food with salt, sugar and oil. If you’re eating out, be diligent about ordering healthy, oil-free foods such as steamed vegetables and brown rice or a salad with fresh lemon juice (instead of dressing). If you want to be “social”, why not host a dinner party, picnic or potluck instead? I already mentioned fancy coffee based drinks are a nono. To be honest I always say to my clients “Caffeine use is your business, however if you drink coffee, drink it black.” Sugar and creamer (even vegan creamers) can turn a latte into a hot, drinkable candy bar. Few years back, Nikki worked at Starbucks and we would often discuss the shocking amount of calories and fat in their drinks. Even if you skip the fancy drink, “homemade” can get you if you’re not careful. If you put just 1 tablespoon of sugar in your coffee each morning you’ll have consumed nearly 23 additional cups of sugar in one year. That’s a lot of sugar and a lot of calories! You’re bored, so you eat. You are sad, so you eat. You are happy and to celebrate, you eat. It’s a tough habit to break, but if you continue to mindlessly reach for food every time you have the slightest desire, you’ll end up overeating and frustrated with lack of results. I would recommend to Start journaling everything you eat in a day or use a phone app such as My Fitness Pal or Livestrong Daily Plate. Its a great exercise for you to realize where the extra calories are coming from. If you have kids, you might be surprised how often you finish their snack. If you are the cook in your household, you’ll be surprised how much you consume “tasting” your food while it’s cooking. I’m so guilty of nibbling while cooking. A lot of foods sneak in each day that we don’t think about. Honestly this should be a podcast/blog post on it’s own. Today we approached the topic of losing Fat and Building Muscles strictly from a nutritional angle. There are definitely many other aspects such as your workouts, lifestyle, sleeping habits, etc. that contribute to realizing your goals. Perhaps we can approach those in another episode. For now, I would like to end with one more tip – “Stay Positive”It may take slightly longer to lose fat and build muscle as a plant based eater, but if you stay positive and keep working towards your goals, you definitely can get the results you’re looking for.